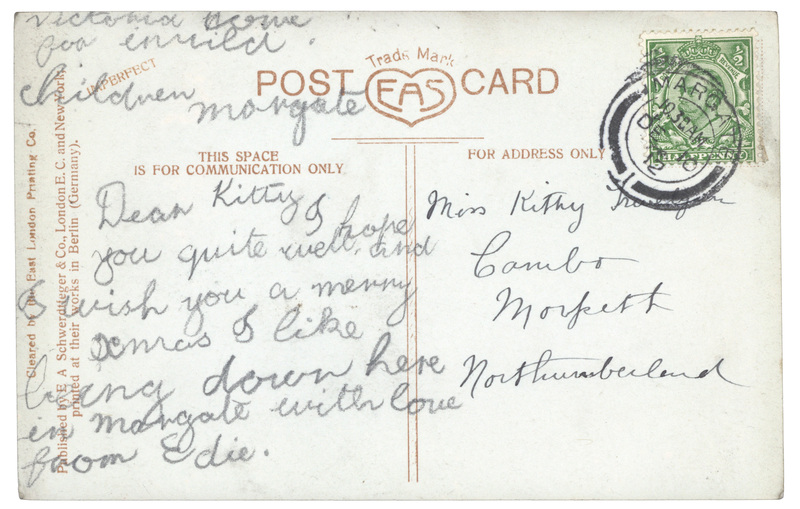 This postcard was written to Kitty [Katharine] Trevelyan, daughter of Charles Philips and Lady Mary Trevelyan of Wallington, when she was four years old. 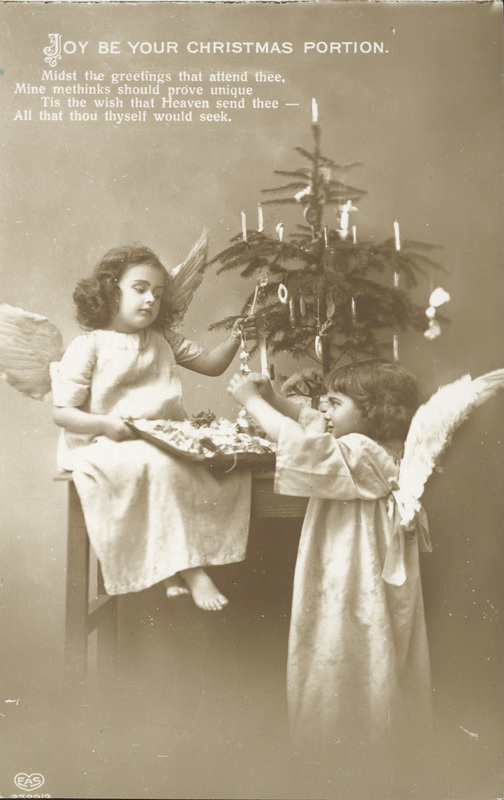 The card sends Christmas greetings and is signed ‘Edie’. It was written at the Victoria Home for Invalid Children in Margate. The Trevelyan family were a wealthy and important family who lived at Wallington Hall in Northumberland during the 19th and early 20th centuries. They played an important role in politics, culture and education. The card was published by the German company of E. A. Schwerdtfeger & Co. Information on the reverse reveals that this particular card was ‘imperfect’ – likely relating to the slight misalignment of the print leaving a thin white band at the top, and some of the information missing at the bottom. This entry was posted in Christmas Countdown and tagged #ChristmasCountdown, Christmas, Trevelyan, Wallington by nspeccoll. Bookmark the permalink.